Many people with diabetes experience debilitating effects of the disease, such as a sudden drop in sugar levels which can cause a blackout. 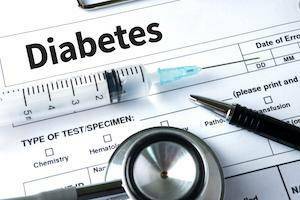 In the long run, diabetes can have a negative effect on the sufferer’s nervous system, frequently causing them to develop slower reaction times. Because of these risks, people with diabetes are at 19 percent greater risk of causing a car accident than those who do not have diabetes. A car accident is never a pleasant experience, but an accident involving a person with diabetes can make the situation worse. Managing diabetes and being able to operate a car may not always be healthily balanced. Many people with diabetes can manage their condition in their daily lives and drive regularly, while others may have diabetes so severe that they are not able to drive. If you or a loved one have been injured in a car accident involving a driver who has diabetes, Flaherty Law is always by your side. Call an experienced Will County personal injury attorney at 815-577-7500 for a free consultation.